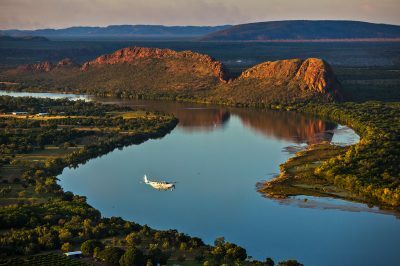 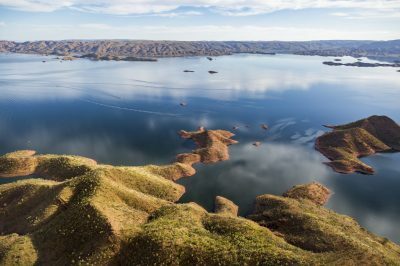 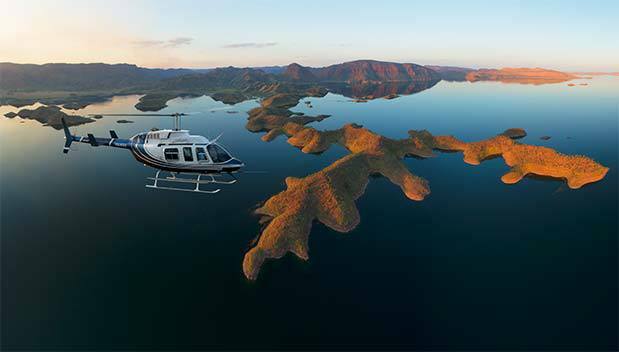 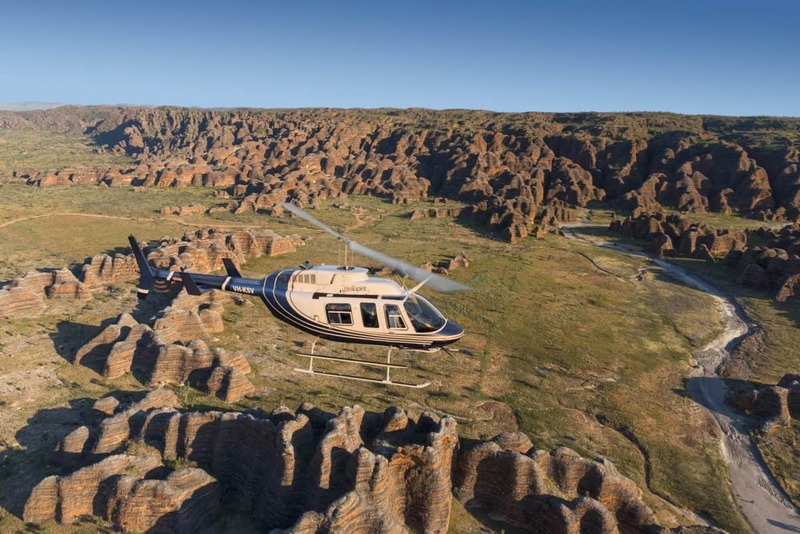 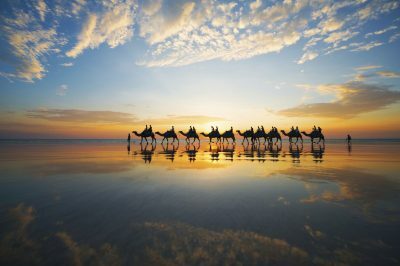 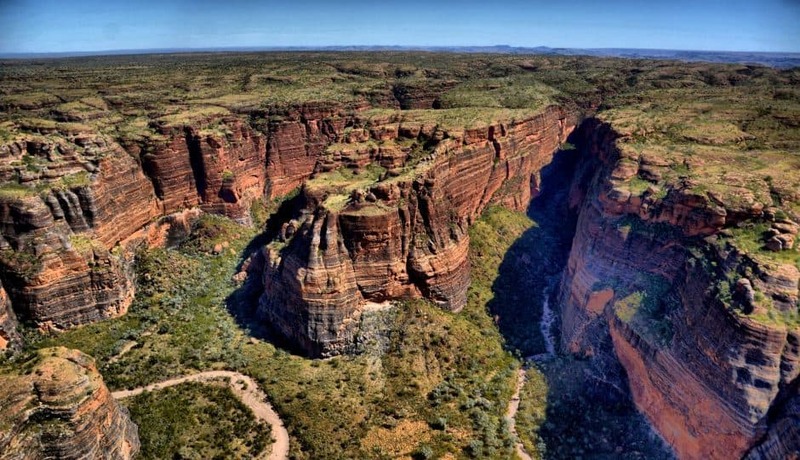 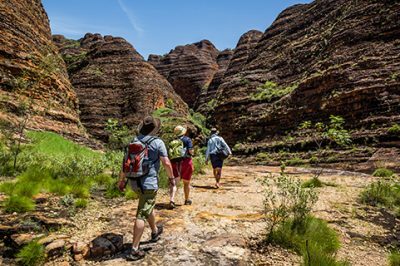 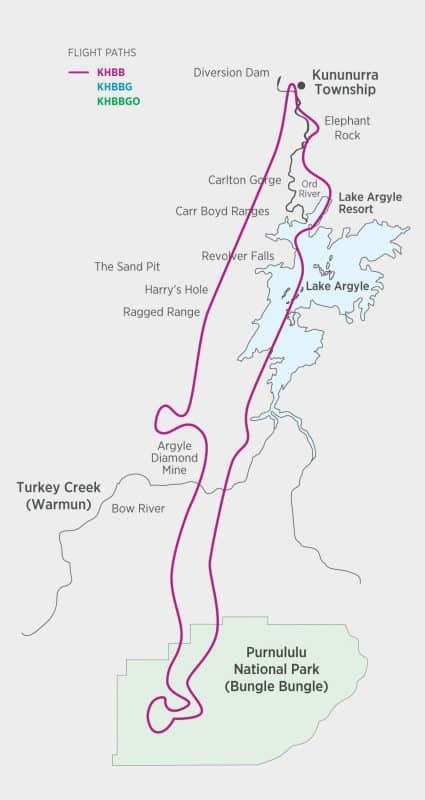 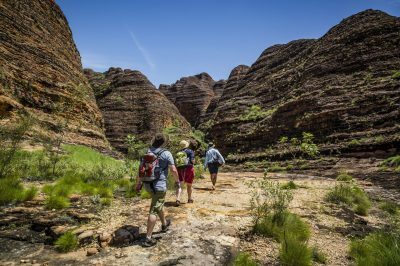 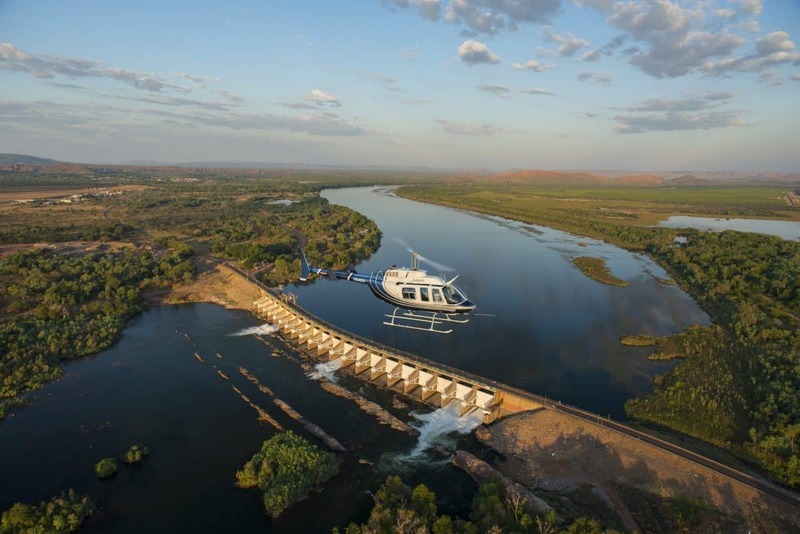 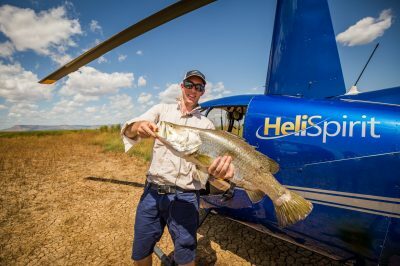 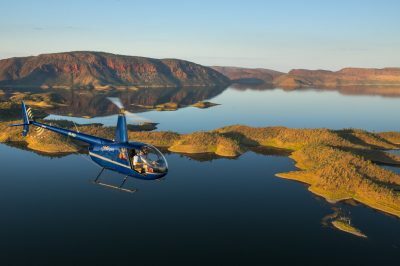 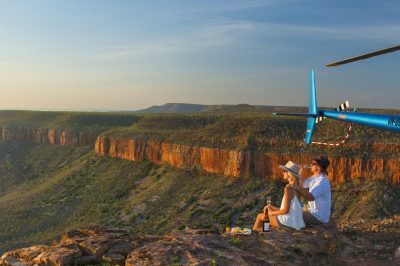 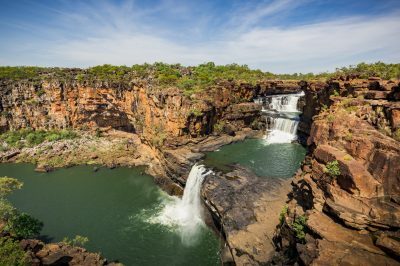 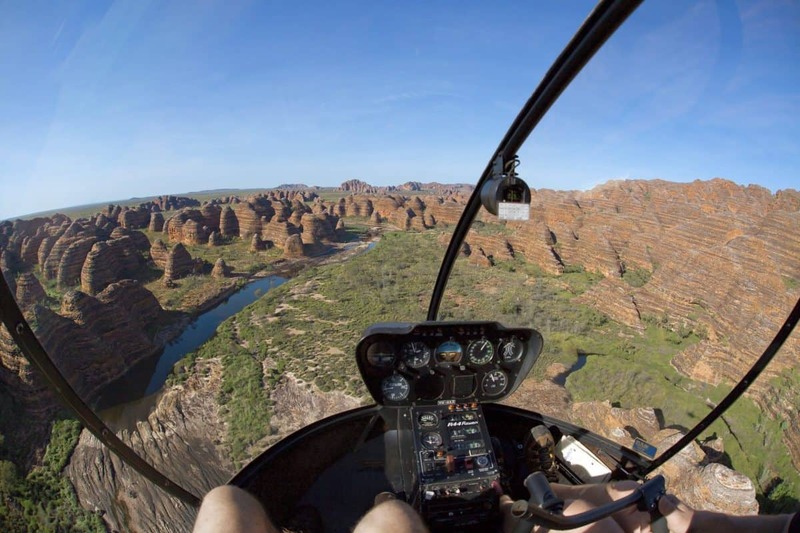 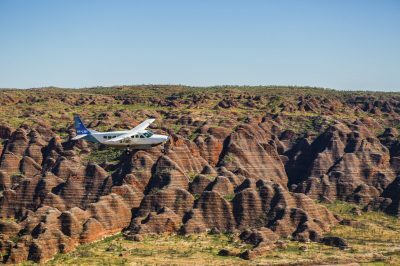 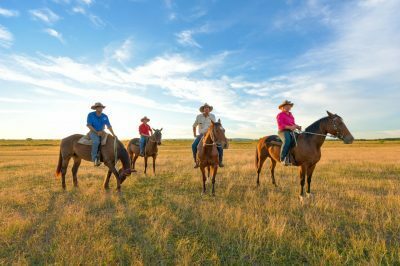 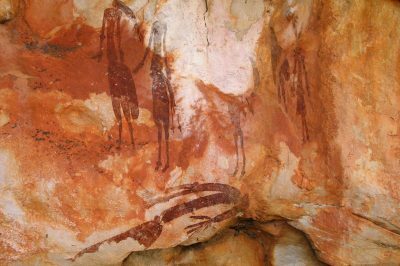 This scenic helicopter tour features a stunning scenic flight from Kununurra over the Bungle Bungle Range, with spectacular views of the famous Bungle Bungle domes. 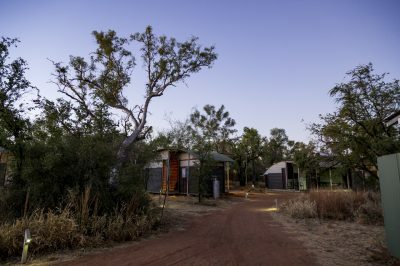 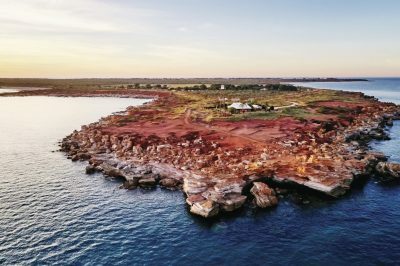 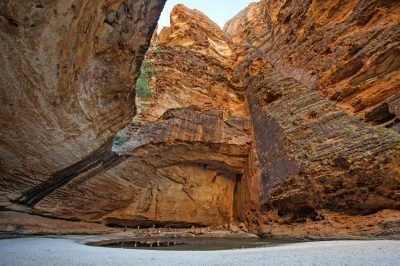 You will make a landing at the airstrip in Purnululu National Park for refreshments, before flying to a secret spring nestled within the range. 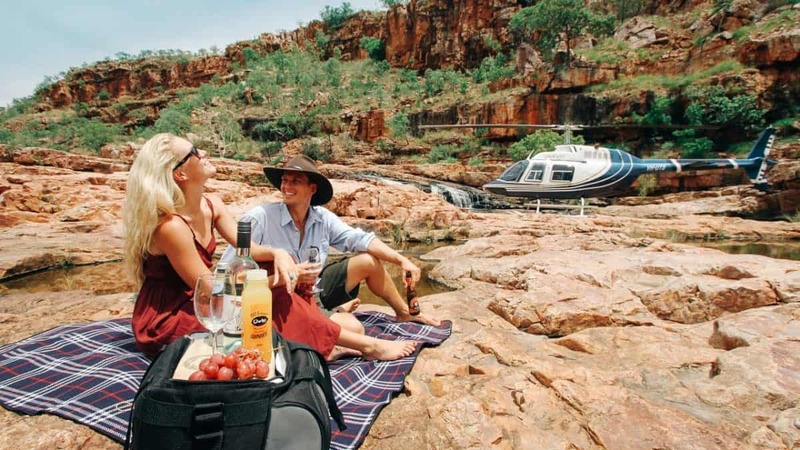 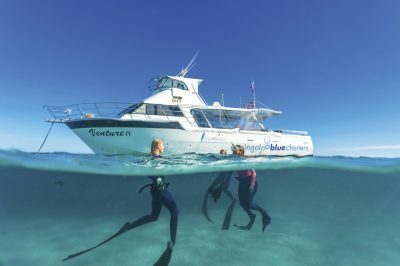 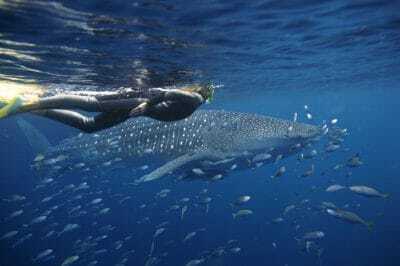 Once landing, you will take a short hike into your private water hole, where you can swim in absolute privacy and enjoy a picnic in one of the most beautiful settings imaginable. 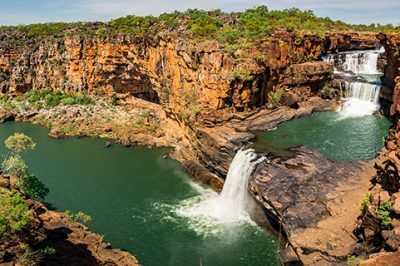 A fair level of mobility is required for the short hike to the waterhole. 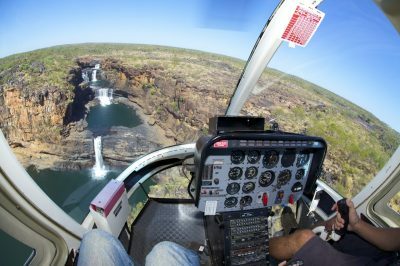 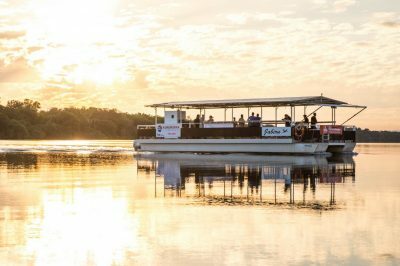 This tour option is available year round with spectacular waterfalls after the rains in February and March.